As professional school bus drivers take the seat behind the wheel of one of the most recognizable vehicles on the road, they assume great responsibility and many roles. They are unsung heroes. Rarely are they thanked or acknowledged for their consistent commitment to the safety and wellbeing of students. The environment of the school bus demands a driver to possess many skills. Driving is always their first priority but they must often take on additional roles such as nurse, teacher, law enforcer, mechanic or janitor. They investigate, counsel, mediate, protect and peace make. They troubleshoot, tie shoes, zip coats, find hats, close bags and protect cherished school projects. At athletic, band, choir, and academic events they are cheerleaders, always providing a “good job” for their passengers, win or lose. They learn and follow national, state, and local laws and rules. Only they can get behind the wheel of their yellow bus because only they are licensed to do so. Are they drivers? Oh yes, Wa-Nee drivers drive over 475,000 miles per school year. They maneuver their 13 ton vehicle around bikes, buggies, construction, downed tree limbs, distracted drivers, and law breakers. Weather and road conditions challenge their path as ice, snow, fog, rain, dark, sunshine, wind, and floods complicate their route. School bus drivers, while remaining focused on road, are also expected to see and hear everything that happens inside the bus as they transport potentially more than 70 students who sit up to 40 feet behind them. Truly, those who assume this great responsibility should be acknowledged. As the director of transportation for Wa-Nee Schools, it is my privilege to work for a group of professional, caring, and dedicated bus drivers. Thank you will never be enough for the safe transportation service they provide for our community. 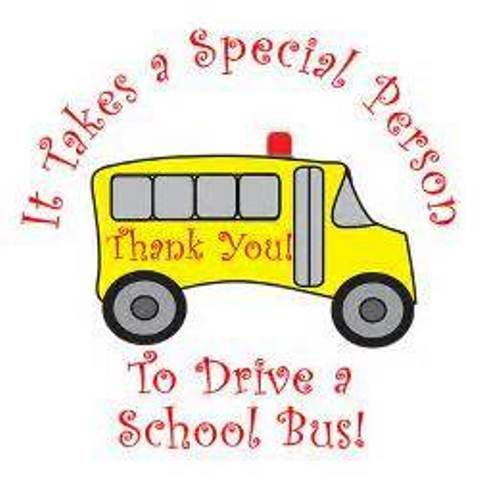 Take time today to thank a school bus driver!